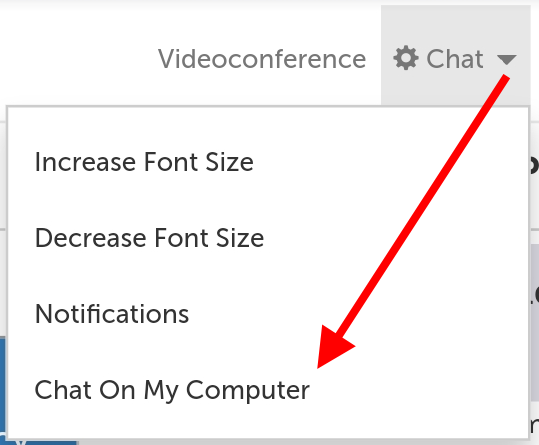 SecureVideo Clinical Chat is an encrypted, in-browser chat that SecureVideo account holders can use to communicate with their session participants, and/or with other account holders in the organization. Chat messages and files transferred through chat are encrypted in transit and at rest. If you would like to disable (or re-enable) SecureVideo Clinical Chat on your account, please contact the Support team at [email protected] from the email address associated with your organization's Account Administrator. 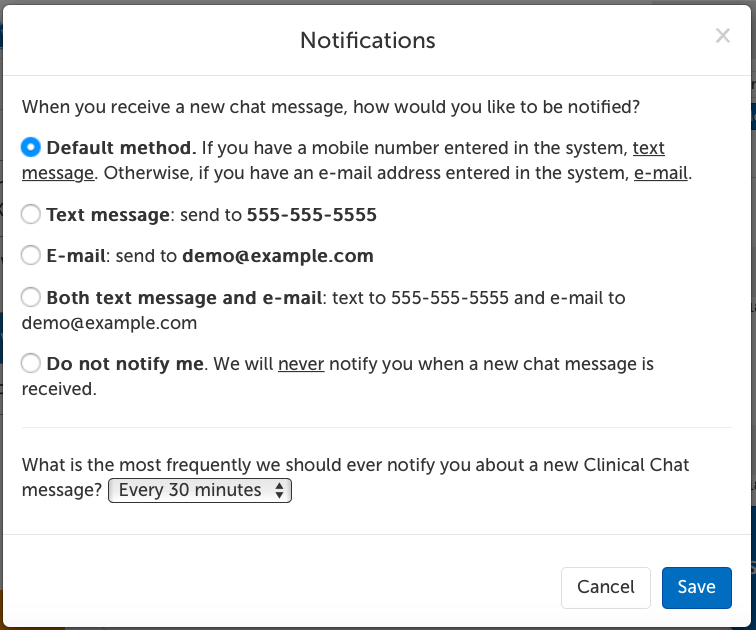 Clinical Chat messages (or files sent through chat) are retained for 24 hours before they are automatically and permanently deleted. For file transfers, each user can upload up to 200MB at a time, and up to 1GB per day. This support article illustrates how users without a host license can navigate the chat screen. 1. Participant names are listed at the top of the chat. 1. 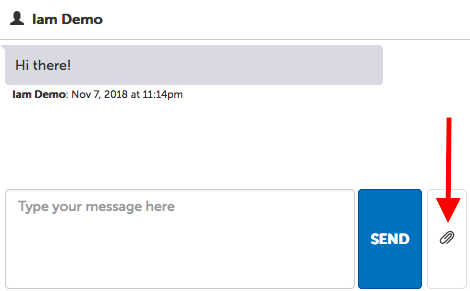 Click on the "Chat" tab and then click on the "Chat on my computer" option. This will send an access link to the email address on file for you. 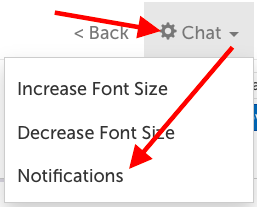 1.Click on the "Chat" tab and then click on the "Notifications" option. 2. Settings for your notifications will appear. Note: users can only change their contact information if they have an account. If you do not have an account, you will need to ask your host to add/edit your contact information. Default method: This setting is dynamic; you will receive notifications text message if you have a mobile number entered in the system. If you do not have a mobile number entered in the system, you will receive notifications by email. Text message: If you have a mobile number in the system, you can select this option to receive notifications by text message. E-mail: Select this option to receive notifications by email. Both text message and e-mail: If you have a mobile number in the system, you can select this option to receive notifications by both text message and email. Do not notify me: Deactivate notifications. You will still an unread indicator when access a waiting room or chat page. Choose how frequently you would like to receive notifications (when offline) about a new chat message. (e.g., If your frequency is set to 30 minutes, then if someone sends you 5 new messages over the course of 29 minutes, you will only receive one notification during that 'waiting' period. If you open the chat app and close it again, you reset the wait period.) SMS/Email notifications are not sent if you have a chat screen page open. Use the "New Chat" button on the left hand side to start a new chat. 1. While on the chat thread you would like to upload a file to, click on the paperclip icon in the lower right hand corner. 2. Drag and drop the file you wish to send on the blank space that appears, or click on the sentence in the box to select a file to upload. Use the "Cancel" button if you don't want to attach a file after all. 1. Click on the trash can icon underneath the message you would like to delete (to the right of the date/timestamp). If you have a Host role, you can delete any message in a thread. Otherwise, you can only delete your own messages. This article was last reviewed by our Support team on November 8, 2018.